Whatever warm clothes you choose for the autumn-winter season, feel comfortable without a hat is unlikely to succeed. Which to choose a hat that she was to face, and in harmony with the clothes? The leading position among the popular headgear hold hats beanie, as evidenced by numerous photos from fashion shows and magazines. Who would have thought that these unpretentious hats become a favorite of many stars of show business and the ordinary man in the street? Fashion hat beanie is practical and stylish hat, emphasizing the individual style. Proponents hipster attributes, the number of which is increasing , give preference to such a style caps. Women’s hats Bini has in the wardrobe of celebrities such as Cara Delevingne, Rihanna, Rita Ora, Olivia Culpo, Emma Stone, Candice Swanepoel, Lily Cole, Kaya Scodelario. What is the cap beanie? In principle this knitted cap without any extra laces, which is held on the head without any additional elements. Current models of caps beanie presented in a wide range . You can choose a model with no flap or with it, thin or thick hat knitted, winter or demi model, with decor in the form of logos, patches, pompons or without them. Many girls prefer such a headdress for the reason that with their help easy to create a deliberately relaxed view that matches the popular styles today hipster, street-style, sveg. 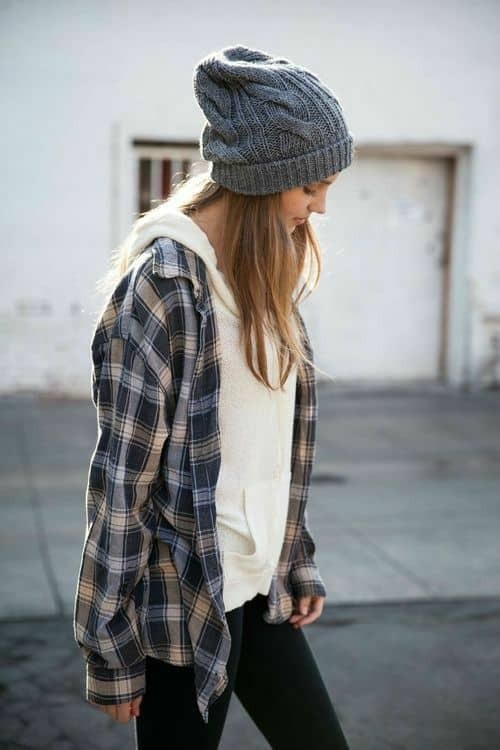 Knitted hats beanie supported walking casual, sporty style and grunge. By the way, wear hats beanie both women and men. For whom is this cap? Unambiguous answer to this question cannot be, because it depends not only on your preferred style of dress, but also on the facial features, age and model of the headdress. For girls with a face round shape and large features is to choose a model with a large knitted pompom on top. This will help soften the contours and visually pull the face. Heavy chin can be balanced by a flap on the cap, and pulled down over his eyes beanie hide too high brow and a long face. Girls with bushy cheeks should not wear thin beanie. Owners of graphically clear lines of faces can wear almost any model. They are equally well beanie volume and pattern of fine wool, jersey, cashmere and even cotton. Stylists recommend wearing beanie issued to the person strands of hair to help create a feminine look. Cap with a pompon beanie adds image enthusiasm and childlike. Model uncluttered approach more restrained, but not without the individual subject. But close to the head cap may even be combined with a strict suit. Remember compatibility styles. But if you want to break stereotypes, the play on contrasts, mix something that would seem to be together just cannot. Options, how to wear a beanie for girls are a lot, but there are lax rules which should adhere to. 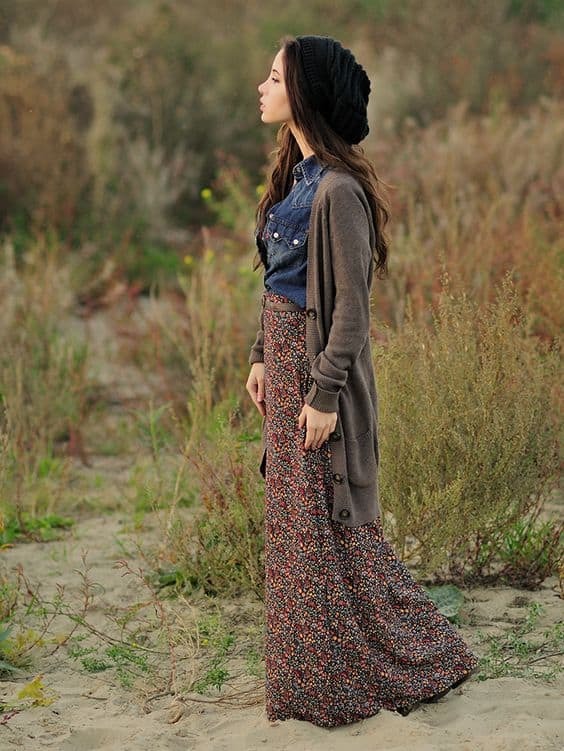 If you want to emphasize the naturalness of style, choose the largest beanie knitted any shade of beige. 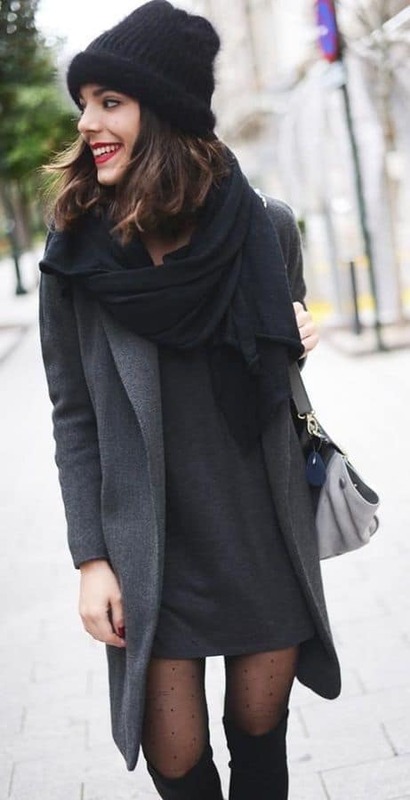 With high boots, leggings and tunic will look great beanie average mating with small pompon and model thin cashmere or jersey to get closer to the classical image. Looks great combination of concise beanie caps with classical stout woolen coat or trench . Democratic cap «knocks the stuffing out» the road of outerwear — have a typical output dress down. Choosing a hat beanie, do not trust the advice, but simply vote in the mirror. If the look is not uncomfortable, feel free to replenish a wardrobe a bright youth trend. Knitted model can be worn with a dress of the same material or wool, denim skirt, leather jacket, blazer, cardigan and trousers «skinny». Cashmere beanie hat will look great with a coat, blouse and pencil skirt or trousers with strict arrow. If a bright accessory, remember that you should not do more than 1-2 in emphasis in the way, otherwise the set will be too colorful and absurd. With regard to the method of how to wear a beanie for girls, a hat that can be worn like anything: just a bit to one side, on the top or pull on his forehead. If the model and the free volume, it can drape, making one or more folds back or side. White sweater, knitted beanie and plisse skirt. Romantic and cute image. Grey knitted beanie with hoody and plaid flannel shirt – great way to dilute the everyday casual outfit cute little boy’s part.